Today, schools are facing shrinking budgets and increasing demands on time in the classroom, and as a result field trips to enhance learning have become more difficult to include in the curriculum. In an effort to offer a variety of enrichment options, engaging learning opportunities and “reverse field trips” to students and teachers in northwest Kansas, the Dane G. Hansen Foundation has awarded Rolling Hills Zoo a $25,000 grant to bring the Zoo’s educational experiences to them. “Education, both traditional and through life experiences was always a priority in the Hansen family. The Trustees are pleased to continue that tradition with the NW Kansas LEARNS initiative, offering students and teachers a variety of hands-on learning opportunities to enhance classroom education,” said Betsy Wearing, Coordinator of Programs, Communications and New Initiatives for the Dane G. Hansen Foundation. Rolling Hills Zoo’s Zoo To You: Amazing Adaptations program will help students develop a deeper appreciation of the natural world by connecting them to animals that will both inspire and ignite their sense of compassion and love for wildlife. Not only does this program introduce students to exotic species, but it also teaches them about the native species that live right here in Kansas. In addition, students will develop a better understanding and appreciation for the region and the habitat it provides to these native species. Students will also gain a worldlier perspective by learning about animals from around the world and how to draw connections between animals of different species, including humans, and the many threads that connect us all. 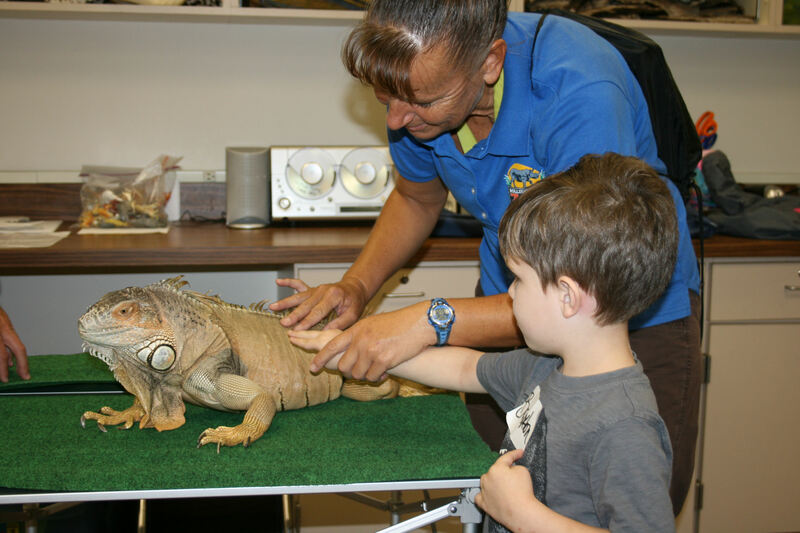 All Zoo to You programs meet Kansas curriculum standards. The Zoo To You program will be offered to students from grades kindergarten through 8th grade, in schools within the Hansen Foundation’s 26-county service area beginning November 1st and continuing through February 28, 2019. Providing transportation to and from the schools will be a cargo van sponsored by Long McArthur Ford of Salina, KS. This new outreach initiative, NW Kansas LEARNS, funded by the Dane G. Hansen Foundation is combined with their other recently announced initiatives, NW Kansas ARTS and NW Kansas READS, all of which help to fulfill the Hansen Foundation’s mission to improve the quality of life and provide opportunities to the people of Northwest Kansas. Other organizations included in the NW Kansas LEARNS initiative include The Eisenhower Presidential Library, Museum and Boyhood Home, the Kansas Cosmosphere, and the Kansas Historical Society. All of these opportunities are offered at no cost to NW Kansas schools in the Dane G. Hansen Foundation service area.